Reduce the file size of PDF files and documents by 40-75% while retaining all visual quality. The optimized PDF files are much smaller and ideal for sharing on the web or via e-mail. No zipping necessary. Compress your existing PDF files and documents by 40-75% and preserve their original visual quality. 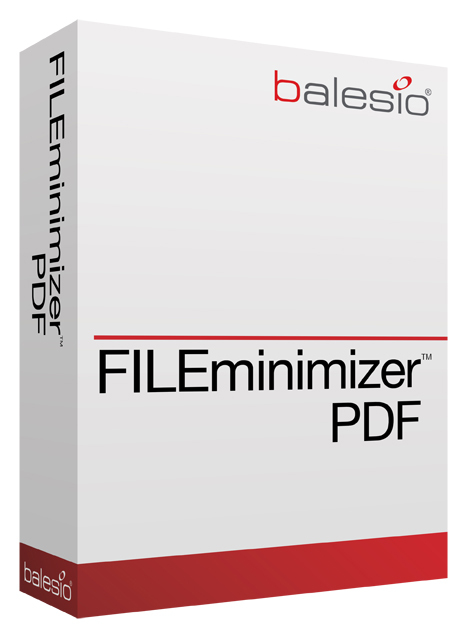 FILEminimizer PDF does not create any zip or rar archive, no unzipping is necessary. Optimized PDF files are much smaller, ideal for sharing online and via e-mail. The batch process allows you to compress many PDF files at once.